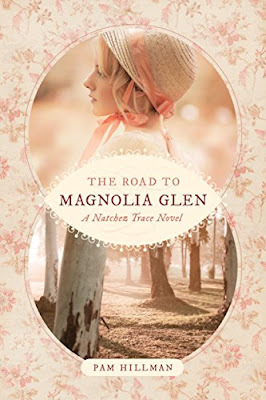 The Road to Magnolia Glen is book two in the Natchez Trace series and furthers the story of Conner and Isabella from The Promise of Breeze Hill. The heroine, Kiera, is a fiesty Irish lass. The hero, Quinn, is a responsible, determined, hardworking young man who has yet to realize his dream. I so loved the setting of this book in the Natchez Trace of 1792. I had fun picturing the docks of the early town and the Plantations of Breeze Hill, Braxton Hall and the estate owned by the Wainwrights. The Young sisters: Kiera, Amelia and Megan and the O’Shea brothers: Quinn, Rory and Patrick meet onboard ship on their journey to the Colonies. Quinn is taking his brothers to meet their eldest brother, Conner, at Breeze Hill. The Young sisters have come because their brother-in-law has secured a husband for Kiera in Natchez. Little did they know that Pierre LaBonne, her so called intended, is a scheming liar and holds papers saying he owns them. Can Quinn and Conner keep Kiera and her sisters from the nefarious clutches of the vile LaBonne? By helping the girls, are they endangering themselves and their loved ones? The characters were so engaging from the O’Shea brothers, to the Young sisters, to baby Jon Wainwright. The evil LaBonne and his lackeys were villainy at its best. If you enjoyed the first book in this series, then you will want to read this installment to see what is going on at Breeze Hill. The excitement level is just as great and the story keeps getting better! I haven't read this new series but I've met Pam and she's just as warm and sweet as you'd imagine! I'm delighted to see her much deserved success! 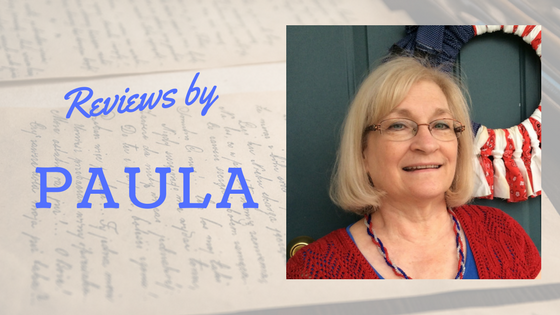 Thanks for the review, Paula!